New from Redington for 2013 is the Tempt medium action series of fly rods. These are excellent presentation fishing tools for technical tailwaters or small creeks. You will also be pleasantly surprised to find this rod priced very generously at $169.95. In Colorado we fish technical tailwaters especially during the winter time. We find that the best rods for this application are medium action rods with soft tips that cushion light tippet extremely well. The other notable thing to mention about medium action rods is that you don’t need a lot of line out to actually feel the rod load. So ask yourself, when your fishing small creeks or your favorite tailwater how far are you normally casting? A few of our favorites in the Redington Tempt lineup. 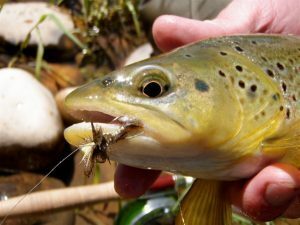 7’6″ 2wt Redington Tempt: For those looking for a pure creeking rod that will handle brookies in Rocky Mountain National Park than this is the rod for you. We have had a lot of fun bow and arrow casting this rod in the shop and can’t wait to get it out this summer. 8’6″ 3wt Redington Tempt: This is an awesome summer dry fly rod for those who like fishing tailwaters with dries on a light rod that allows you to feel the fishes heart beat through the cork. At 8’6″ this rod still allows for great line control and mending. 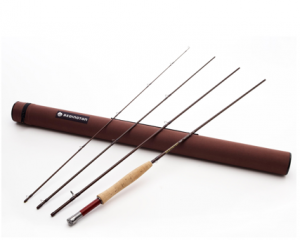 8’6″ 4wt Redington Tempt: This is the all around Colorado tailwater fly rod. It will allow you to make accurate presentations to fish that you are sighting with a nymph rig or dries.